Today's show brought to you by Forterra, saving the places that are keystones of a sustainable future in the Pacific Northwest. In winter, when snow blankets the northern states, nearly all of the beautiful songbirds that graced the days of summer are long gone. They’re living out the cold months in warmer climes. 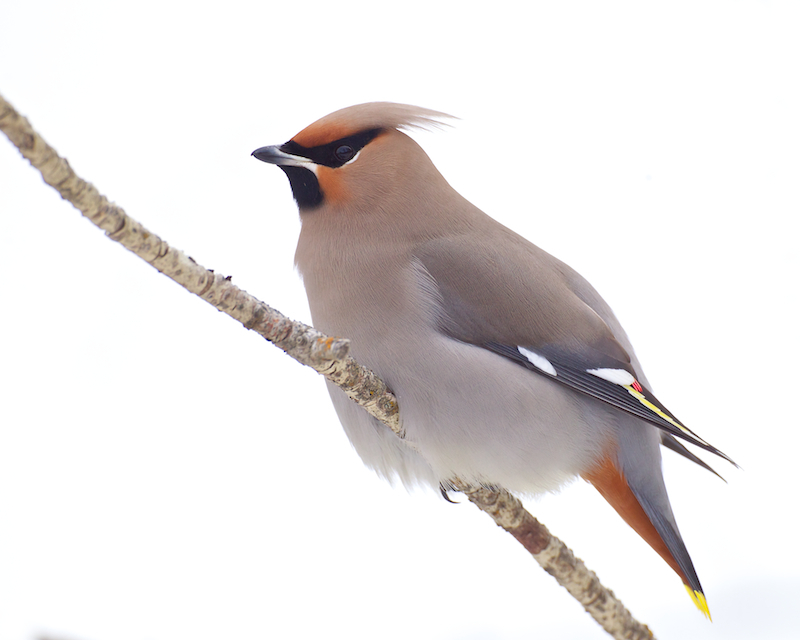 But there’s one special winter visitor that goes a long way to filling the absence left by the birds of summer. Writers for BirdNote include Bob Sundstrom, Ellen Blackstone, Todd Peterson, Dennis Paulson, and Gordon Orians. Our producer is John Kessler and our executive producer is Chris Peterson. I’m Michael Stein. Bird sounds provided by The Macaulay Library of Natural Sounds at the Cornell Lab of Ornithology, Ithaca, New York. 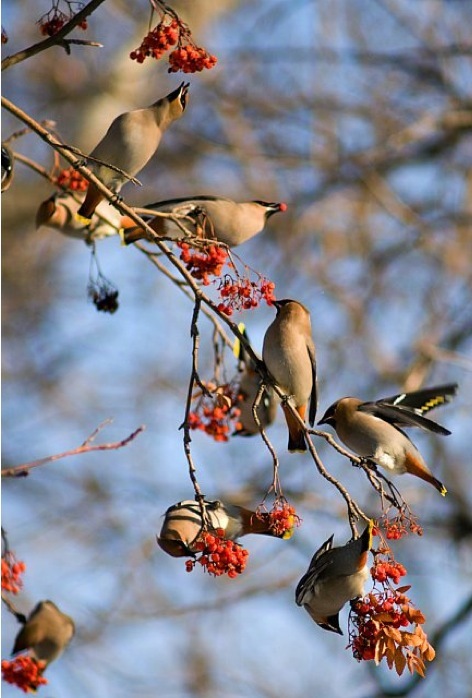 Flock calls of Bohemian Waxwings  recorded by D. McCartt and  recorded by G. Vyn.